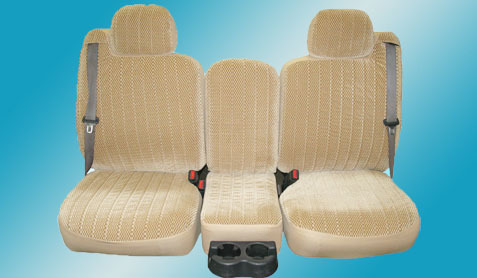 The shear comfort of custom car seat covers will benefit you for years to come. They are made in a wide variety of materials and colors. They are well designed to give one the most protection and the best fit for your vehicle. High quality custom-made covers are available in patterns for most vehicles including Ford, Chevy, Toyota, Dodge, Jeep and many more. A perfect fit and customer satisfaction are our most sought after products here at Auto Trim Design in Idaho Falls and we guarantee your satisfaction. Why not come in and have a look see, you'll be glad you did.